Night time has always been perceived as a very mysterious part of the day. Well, it is the darkening hour! When the Ghouls and the Goblins come out and frighten small children and dope addicts with their darkly hued ways. However, where my mate Karl is concerned, this is a great subject to impart into a great webcomic. Here, check out a conversation we had only the other night, whilst being scared half to death by small children and some dope addicts nearby. 1) What are your own origins Karl? And when did you first realize that you wanted ‘to create’? I grew up in a very-small American mid-west town surrounded on all sides by corn and soybean fields. Needless to say there wasn't a lot to do as a kid. So I relied heavily on my imagination for entertainment. For fun, I created an army of imaginary friends, and would develop detailed back-stories and adventures for them. And my parents encouraged it, seeing it as a way to keep me preoccupied. As I grew up my mom introduced me to the classic monster movies as she was a big horror fan and my dad took me to comic book stores. I was encouraged to draw and tell stories and be as creative as possible. Fast-forward to college, I eventually turned my sites to film school, where I again relied heavily on my imagination and my years of fostered creativity. From there I worked in network television as a writer / producer and since segued into writing comic books. It is a journey that has made a lot of sense in my life. 2) What are your own artistic and personal aspirations? 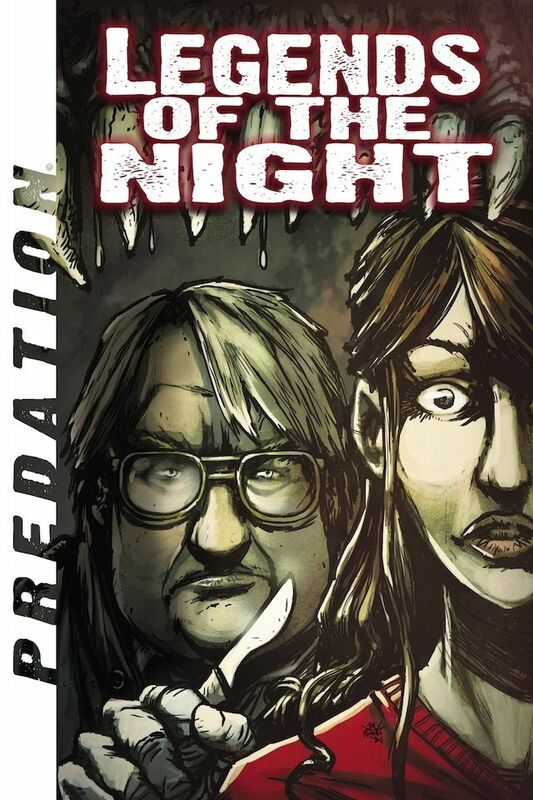 Plus what inspired you to create the comic ‘Legends Of The Night’? Legends of the Night comes from my own artistic and personal aspirations. I love to tell stories and be creative and LOTN has been the genesis of that. It began as a quest to write a feature film that developed into creating characters and eventually a universe where their stories all existed. I originally developed LOTN as a television series -- something that I still aspire it to be. The comic books have been a way to introduce fans to the stories. It is a very, very large world that I’ve created, so I am excited to get it out there in any way possible for fans to see. 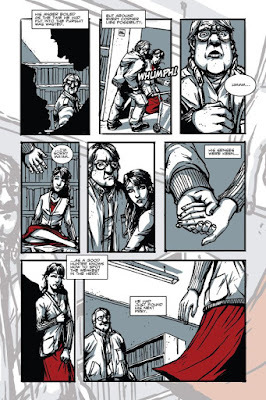 3) In your own words how would you describe this comic book? Plus what formats does it come in. 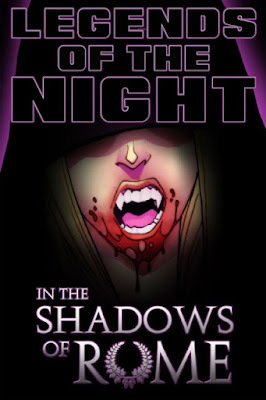 Well, Legends of the Night is the title of an intelligent horror series. Consisting of four major storylines combining into one larger narrative. The release of the comic series is still in its infancy -- as there are currently four titles under the LOTN banner. 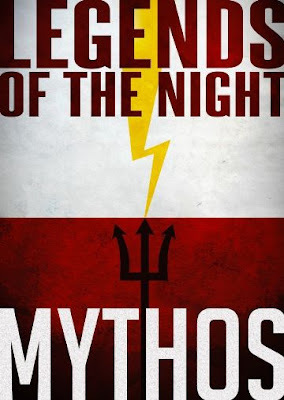 Mythos, our newest title, is an illustrated history of the LOTN Universe, giving fans a clear understanding of the intentions and direction of the over all series. The stories are meant to be very serious in tone and grounded in reality, despite being steeped in the supernatural/mythological. 'Mythos' is also a bit unique -- in that I used a total of nine different artists to accomplish a story which takes place over hundreds of millions of years. 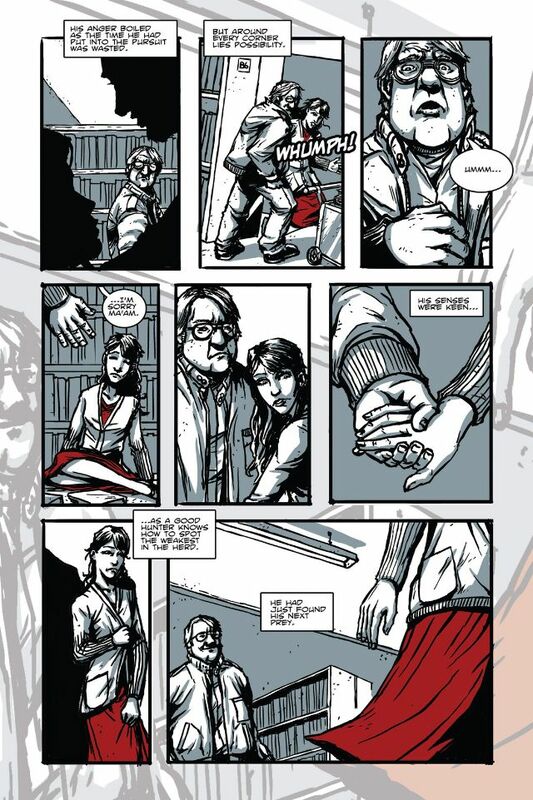 The result is some amazing artwork and varying styles to go along with the expansive story. Currently all of the LOTN comic books are available on our website in e-book form, for free. 4) If you could cast a ‘LOTN’ movie, who would be in the main roles? As it stands now, there are 200+ stories that make up the LOTN Universe -- with over 75 recurring characters. It is a pretty big project so I’m not sure where I would begin with casting something like that. But I could see it making for one hell of an ensemble. As a filmmaker and storyteller, I have always been attracted to character actors. I am a huge fan of what television has done in the last 10 years or so with large scope series like Deadwood, The Sopranos, Lost, Mad Men, Breaking Bad, etc. -- highlighting the talents and strengths of lesser known or forgotten actors. When I do the television version of LOTN, I will certainly cast with a mind for telling the best stories possible. 5) What song would you say best represents your comic and why? Legends of the Night is really designed like a piece of classical music. The overall series begins very much like music that is slow and deliberate, with many peaks and valleys in between, building to an intense crescendo. Ending very dramatically with power and purpose. It would be the kind of song you would walk away feeling a deep emotional connection with. Something that would be stuck in your head for days, haunting your dreams. 6) If you could assign a smell to ‘LOTN’, what odour would it be and again, why? That is kind of a hard question to answer -- is “fear” a smell? To be perfectly honest, I have always wondered why smell was not more of a descriptive factor in visual mediums such as film and TV. Someone stumbles onto a crime scene and I would assume the smell would be pretty distinguishable -- but it’s never mentioned. I realize this is kind of a light-hearted and a funny question, but to me it just goes back to a matter of realism and mood when you build a story. 7) How to do you feel about mainstream comic books? And do follow any of the current wares? I think with mainstream comics, we are seeing some of the best and inventive stories ever. For too long I think comic books consisted mostly of spandex hero stories -- which is not a bad thing. I just think that it is a medium with such potential to reach a broader audience. Comics are books with pictures -- the written and the visual, there is limitless potential within the pages. I also feel as though filmmakers and screenwriters are gravitating more towards comic books. It’s a fact that Hollywood wants proven properties and comic books are the proving ground for those properties, gaining passionate fans and building future franchises. I know right now it mainly consists of comic titles that have been around for decades, but it’s just a matter of time before the inventiveness of today’s storytellers break through. Personally, I try to read a bit of everything, Locke & Key, Walking Dead, The Goon, DC’s New 52 and Jonathan Hickman’s Manhattan Projects mini-series has been great. The list goes on and on. 8) During your time in this creative field, what is the one thing that has kept you in good stead? That’s an easy one -- my wife MaryAnn. She is such an amazing, hardworking and understanding woman. She is a graphic artist and to put it simply, LOTN wouldn't exist as it does right now without her. She’s been a big part of the comic series -- from proofreading scripts, to doing the layouts and designing all of the covers. She also designed and built the website with me, and of course, she provides much needed moral support. I’m a very lucky man. Thanks for that Karl. Very much appreciated my very creative friend. So what are you waiting for dear reader? You know what to do! 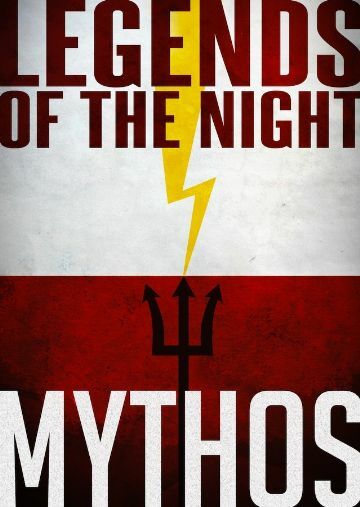 Have a click on www.LegendsoftheNight.com, plus don't forget the facebook / twitter thing too. Nice one. You can now have a banana.